Daniel Giovannini talks to three of the physicists working at CERN who have been involved in the hunt for the Higgs Boson. On 4 July in a public seminar at CERN, the spokespeople of CMS and ATLAS, two of the international collaborations running independent experiments at the LHC, announced the long-awaited discovery of the Higgs boson. Or did they? There seems to be little or no doubt that a new particle has been revealed by the detectors run by the CMS and ATLAS collaborations. The new particle is electrically neutral and unstable, just like the Higgs boson, whose existence had been foreshadowed by Robert Brout and François Englert in 1964 and predicted by Peter Higgs, Tom Kibble, Gerald Guralnik and Carl Hagen in the same year1. It was in 1967-8 that Steven Weinberg and Abdus Salam incorporated the mathematical formalism of the Higgs mechanism, of which the boson of the same name is a by-product, into what is now known as the Standard Model, the unified theory of weak, electromagnetic and strong nuclear forces. 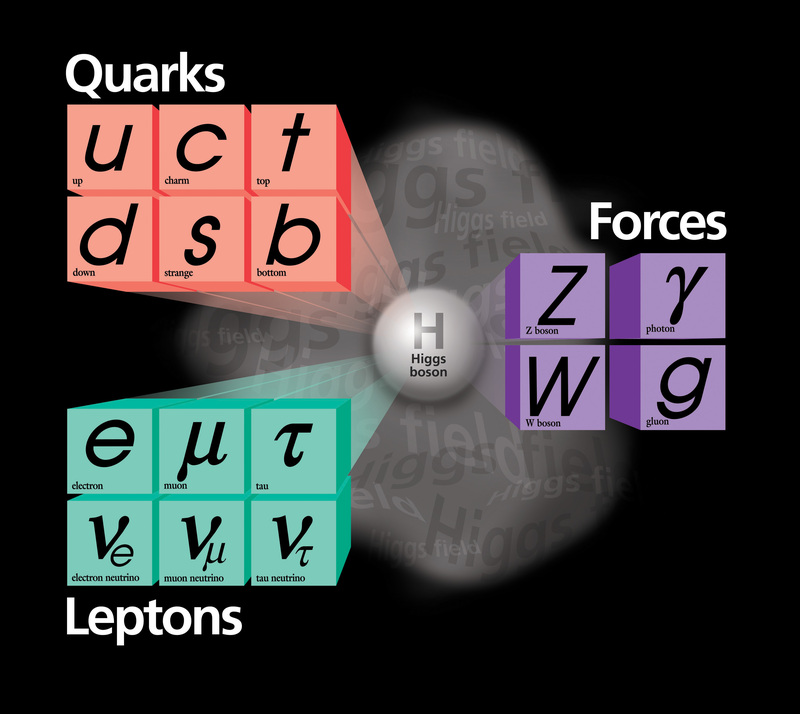 The Higgs mechanism offered a solution to an open problem in particle physics and allowed physicists to describe how elementary particles, starting with the W and Z bosons, are endowed with mass. The particle detected at CERN appears to have enough features in common with the Higgs boson — at least this is what could be inferred by directly observing the debris left behind by its rapid decay — but physicists are prudent. While the experimental observations hint at the existence of a particle that may finally fill the only gap left in the Standard Model, they can’t sit back and relax just yet. We talked to Priscilla Pani (ATLAS), Shervin Nourbakhsh (CMS) and Valerio Ippolito (ATLAS), three research students who have been involved with the hunt for the Higgs for a good part of the past two years. Q: After the press conference of 4 July some of you went straight back to work, others took a short break after too many sleepless nights. How has the atmosphere been after the announcement? Do you feel the relief of the discovery, or the uneasiness that comes with the realisation that you now have to check the results and confirm that what was detected is in fact the Higgs? VI: The relief of the discovery only lasted long enough to recover the hours of sleep lost. Or at least those lost queuing at the entrance of the Main Auditorium, the night before the press conference. After that, work as usual, with an even tighter schedule: there is an article to write up within a few days, ideas on what to measure and how (and when exactly) to better understand what resonance [the experimental trace of a subatomic particle] we have observed. There is competition, which was of course already there before the press conference but has since then quadrupled: competition between experiments but also between different groups within the same experiment, that sort of competition that is at the same time healthy and loyal and exhausting — but it would have been worse had not there been a discovery in the first place. PP: I’d say that there is both obvious enthusiasm for the discovery and a certain frenzy to start measuring the properties of this “thing” in order to find out what it is exactly. Since before the announcement, emails looking for participants for upcoming “Higgs properties measurements” groups have been making the rounds. This notwithstanding, the statistics available are already there to justify the announcement of a discovery but it’s a long way before we can measure the properties of the events that are considered Higgs candidates. An extension of the LHC runtime to collect enough data before the long shutdown [20 months for upgrades, with reopening scheduled for late 2014] has been announced. SN: After the seminar the tension finally broke, and the frenetic pace of the past few months went back to the usual intense — but comparatively more relaxed — rhythm of everyday life in research. The atmosphere is crisper and fresher; waves of lightness and relief accompany meals and breaks, which in the months before the announcement we so often found ourselves skipping. It is a pleasant return to the comforting hardships of our daily routine. The only scientific certainty at present is that we did find a new particle, which happens to be a boson, with mass of about 125 GeV [an amount of energy approximately equal to 2×10-8 Joules]. Is it actually the Higgs boson? Considering the measurement uncertainties we can affirm that it is compatible with the Higgs boson as predicted by the Standard Model. Now the real evaluation of its properties will begin, using all the further data that will be acquired until the end of the year. Q: Do you personally think that the recent, cautious announcement of what are still preliminary results was the right move? Or, in case a particle that is not the Higgs was observed, are you afraid that something along the lines of the unfortunate faster-than-light neutrinos incident may happen again? Naturally, with the Higgs, it would be a much subtler change of course — but the press and the public may not catch the difference and once again point the finger at those silly scientists and their smug fanfare. VI: I’ve always found the expression “preliminary results” a bit misleading. It’s the conclusions that are preliminary. It is now up to everyone’s scientific honesty to be clear about the limitations of what one says about what has been observed, measured or somehow detected. What we announced is: given the data analysed so far, we observed an excess (“a boson”) whose properties are compatible with those of the Higgs boson in the Standard Model. Only time will allow us to compare all the possible hypotheses, as one should always do when applying a respectable hypothesis testing method, so as to clarify the actual scenario we are facing. PP: Before the announcement I was honestly scared by the thought that this could turn into another faster-than-light neutrinos episode. Now, however, I am more confident that something is actually there. Whether that is the Higgs or another particle, I don’t think that’s a problem — as long as it’s a particle and not some bias deriving from our Monte Carlo simulations or random fluctuations. Let’s just say that if what we saw turns out to be something actually meaningful, even if it’s not exactly the Higgs, we’ll then be even more pleased than we are now and the media will catch on, I believe. SN: The official announcement only covered the discovery of a boson of mass 125 GeV, which, from the data, appears compatible with the Standard Model. Further investigations could uncover the as yet unascertained features of this particle. Whatever the outcomes of these tests, though, the content of the current press releases won’t be invalidated. The most delicate point of the entire matter is how scientific information is communicated to the public. Unfortunately, most of the general public has no idea how scientific research is carried out, what the issues involved are and what legitimacy can be granted to any given source. 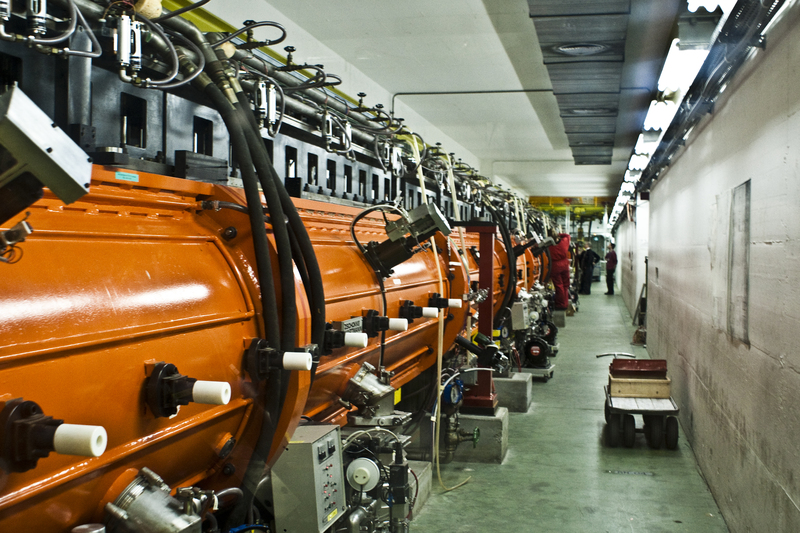 The superluminal neutrinos affair had a big impact not only for the potentially large scientific relevance of the topic, or because the research group involved gave resonance to unconfirmed and suspicious results, but also because of the media, that provided extensive coverage to the findings. Probably what was lacking among scientists and journalists was clear, simple science communication, to explain first and foremost what the mechanisms of research are, what proofs and double-checks are needed, how complex and complicated today’s experiments are — and therefore how hard to manage they can be. A point rarely emphasized is the necessity of the replication by an independent experiment, part of the scientific validation process. It is for this very reason that at the LHC two competing experiment, ATLAS and CMS, have the same detection capabilities and must detect the same particle before we can announce a discovery. Q: When a 5-sigma result is announced, that is, a result beyond the statistical threshold that marks what is traditionally defined a discovery, there is only one chance in three and a half million that the observation is just a statistical fluctuation detected by the experiments. How confident can you be, then, that there is in fact a new boson between 125.3 and 126.5 GeV? VI: Rome has a population of roughly three and a half million people. How much would you be willing to bet that, choosing a random person, that person is me? Not much, I guess. PP: I would be careful. As a student I learnt that a 5-sigma observation is almost self-evident, but, in our case, I am still sceptical. There are several signals and channels that make me positive that something is there but I suspect that the 5-sigma interval may be overestimated. Besides, there have been cases of 5-sigma observations disproven by the subsequent experiment. SN: Even if I didn’t know the first thing about statistics, I could ask myself: if, by looking at the surface of a lake, I told you that I saw a flash that it may be due to a coin at the bottom, would you believe me? Now, if there were five people looking for coins from the surface of the lake, and all of them saw the same flash from different positions and in different light conditions, would you believe them? The 5-sigma confidence level, which excludes with reasonable certainty that the observation is a statistical fluctuation, is the result of research conducted by two practically independent experiments and combining the results. If the findings turn out to be a fluke, it must be because we didn’t take into account something that we didn’t understand at the time. This can never be excluded with certainty, but surely we have enough confidence in our methods, instruments and training to declare that something new has been observed. Q: With an interesting mixed metaphor, in a Reuters interview Oliver Buchmueller (a senior physicist on one of the research teams) defined the particle observed “a smoking duck”: a smoking gun that looks like a duck and acts like a duck — and perhaps is actually a duck. Almost everything points in the direction of the Higgs. What makes you still wary that it may not be the Higgs? VI: In statistics, one can never test a single hypothesis: you always rigorously compare different hypotheses to decide which is the most likely. Today, having yet to carry out all these tests, there are still some subtle signs, rather intriguing from both a theoretical and experimental point of view, that nature may not work exactly in the relatively simple way described by the Standard Model. PP: CMS has already announced that they exclude the tau channel [one of the possible decays that may hint at the presence of the Higgs boson]. In addition to that, the H→WW channel [a Higgs boson decaying into two W bosons] doesn’t seem to show up in CMS — although rumours from ATLAS seem to imply some evidence in that direction. Fact is, if it doesn’t couple with W particles it’s not the Higgs. If it doesn’t couple with fermions instead [a family of subatomic particles], it is a different kind of “Higgs” but the Higgs mechanism would still work. To sum up, it is a Higgs, we just don’t know which one. Let’s not forget that SUSY [the supersymmetry theory] too predicts Higgs doublets that behave the same way but have different properties. To quote our general director: “It’s a bit like spotting a familiar face from afar, sometimes you need closer inspection to find out whether it’s really your best friend, or actually your best friend’s twin”. SN: At the moment, we can’t conclude anything with certainty. One can have his opinions about the boson observed, but there is of course a big difference between personal “beliefs” and scientific evidence. The Higgs boson candidate has been observed in different channels, probing the interactions of the particle with others (quarks, fermions, other bosons). Almost all the results point in the direction of the existence of a new particle, with a slightly different cross section [the probability of interaction with other particles], though within experimental uncertainties. However, personal stances and intuition are all part of research life, so some researchers are also exploring scenarios where the interactions are different from what we expect. Theorists are already at work. Q: How many potential Higgs boson have been observed by the collaboration? VI: ATLAS have observed, in the four-lepton decay channel, four events in 2011 and nine in 2012. In the most interesting and promising mass region, about half are believed to be background. Once you have removed the background, add another couple hundred candidates in the two-photon channel and multiply by two (ATLAS and CMS). It is enough events to be able to say something definite about the existence of an interesting excess, but it’s going to take a little longer to study its properties. PP: Since last December, Higgs-like particles have been recorded in ATLAS, CMS, CDF [the Collider Detector at Fermilab] and LEP [another experiment at CERN]. The CDF Higgs only appeared in the last 2 of 10 inverse femtobarns [a unit used to express cross sections] — and according to rumours, it has a cross section 10 times larger than the particle observed at the LHC. Q: How was the collaboration (from a distance) between ATLAS and CMS? And how did you reconcile scientific competition and the knowledge that the legitimacy of your findings stems from your cooperation? SN: My immediate reply is stressful. I must admit that this rivalry — even brought to an extreme — is rather enjoyable, or so it was for me. For those of us who only relatively recently joined this organization, the detector is a given, we can’t change it. But we’ve helped make it work at its best and obtain the best results. This commitment to research is also encouraged and sustained by a little pride, like when one can say: “Have you seen our latest results? We just did better than you”. Competition is essential to do better and more, and should always be encouraged. Of course this must be done within the boundaries of scientific fair play — the results must be honest — and with moderation. Our two collaborations have proven able to talk to each other and coordinate, which is far from trivial given that communications between two experiments designed to be scientifically independent must be closely moderated to avoid introducing biases. The only interesting leaks usually pop up over lunch, when they spread, often incorrect and partisan, from table to table. VI: ATLAS and CMS are two completely independent experiments, to the point that, at least as far as I am concerned, the only interactions with CMS people took place in non-work contexts. Most research students only hear about the results of the other collaboration through rumours and open seminars — just like the general public. PP: I find the two collaborations a little paranoid when it comes to the right balance between secrecy and cooperation. Our spokesperson even recommended us to act sad in front of our CMS colleagues, during an update meeting a couple of weeks before the announcement, to hide the fact that we had collected some evidence. We feed on rumours, like the recent ones that the CMS peak moved towards the ATLAS one. Ours, I checked, hasn’t moved. Q: How is the cooperation between your two teams going to evolve, in the next few months devoted to analysing the recently announced findings? VI: In the natural direction that one would expect after such a “discovery” — we need to use in the best way possible the amount of data available in order to characterise the excess we observed. SN: Several months of data acquisition await us. This means that we’ll have time to refine our analyses and start programming the new research activities on the boson’s properties. PP: I don’t think there will be much direct cooperation, although results are always exchanged before public announcements. Anyway, the LHC doesn’t have many rivals that we may need to face as an organization, so I think that ATLAS and CMS will keep healthily competing more than collaborating. Q: Brout, Englert, Guralnik, Hagen, Higgs and Kibble were jointly awarded in 2010 the Sakurai Prize for Theoretical Particle Physics. Frank Close recently published a book2, “The Infinity Puzzle”, in which he re-evaluates all the scientific contributions that lead to the formulation of the theory of the Anderson-Higgs mechanism and the potential observation of the relative gauge boson. Close points out that the problem of who should receive the Nobel prize for the discovery, if there is an actual discovery and a Nobel prize is awarded, remains open. Who do you think should get recognition? PP: The only obvious answer to this question is that a 3500-people collaboration cannot be awarded a Nobel prize, let alone two collaborations that involve 5000 people in total. Awarding it to the spokespeople, of course, is unlikely to merit discussion. VI: As it is too early to affirm with reasonable certainty that what we saw is the Higgs boson of the Standard Model, it is also too early to award any kind of prize to whoever predicted its existence. On the other hand, ATLAS and CMS are collaborations that involve thousands of people. Perhaps the fairest choice would be to award the prize to both the fathers of spontaneous symmetry breaking and CERN as a research organization — but let’s wait and see. SN: As I see it, the Nobel prize is mostly a tradition. The honour of the discovery should be shared by all those who worked hard to make it possible. Maybe CERN and the ATLAS and CMS collaborations should receive a little credit. Either way, no one can deny that they made the discovery. On the other hand it would make no sense to split up the monetary prize between the collaborations. It’d be best if the theorists who contributed to the definition of the theory received it. Q: Working in CMS and ATLAS: was it scientific chance that brought you there or a deeper curiosity on your side? VI: I arrived at CERN almost by mistake, as a summer student in 2009. A couple of months later I met in a parking lot not far from the main auditorium the person who would become my thesis advisor and PhD supervisor. Chance played a big role, but surely choosing to study particle physics for my master’s degree had its part too. Daniel Giovannini is a PhD student in the optics group at the University of Glasgow. His main field of research is experimental quantum optics. All of the PRL papers by 1) Brout, Englert, 2) Higgs, 3) Guralnik, Hagen, Kibble were published in 1964. Not sure where the “second half of the 1960′s” comes from but it is incorrect. Also Frank Close wrote a book title “The Infinity Puzzle” not an essay. Thanks for pointing this out, and sorry for the late reply. We’ve corrected the article now to fix these issues. Previous story Throw Me A Meal!